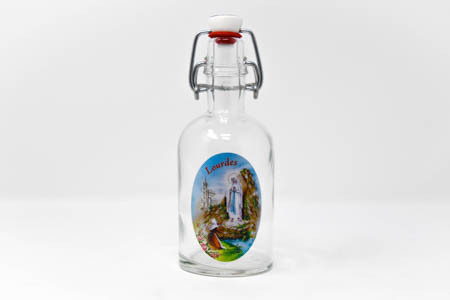 CATHOLIC GIFT SHOP LTD - Lourdes Water in a Large Clasp Colour Bottle depicting the Apparition 14cm. Lourdes Water in a Large Clasp Colour Bottle depicting the Apparition 14cm. Lourdes water in a large clasp Lourdes bottle with a picture depicting the apparitions 14 cm.